This week's five best penny stocks all posted double-digit gains, while the S&P 500 shed 0.6%. Every week, we update our best penny stocks list for our readers. We talk about why these stocks soared and what their companies do. All of the penny stocks we track are listed on the major exchanges, like the Nasdaq and New York Stock Exchange. That's because these exchanges are held to higher standards than stocks that trade "Over-the-Counter" or on the Pink Sheets. For example, the Nasdaq requires companies post profits of at least $11 million in the past three years, among other strict requirements. And the NYSE requires companies to have at least 1.1 million shares outstanding worth at least $100 million, among other qualifications. While penny stocks listed on the NYSE and Nasdaq don't always trade for pennies per share, they mostly trade for less than $5. And they come with much less risk than over-the-counter penny stocks. That risk is the biggest thing to keep in mind when investing in penny stocks. They can bring you big profits, but they are notorious for volatility. That's why Money Morning gurus recommend only keeping a small number of penny stocks in your portfolio. 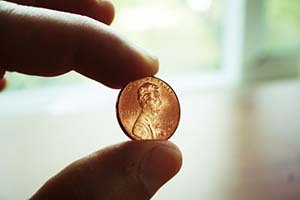 No single penny stock should make up more than 2% of your investing portfolio. Money Morning Chief Investment Strategist Keith Fitz-Gerald also says it's important to have "risk tolerance" when looking for the right penny stock. Not every penny stock will post triple-digit gains. And the stocks that are up one week may be down another. Best Penny Stocks No. 5: Globus Maritime Ltd. (Nasdaq: GLBS) is a dry bulk shipping company. It manages a fleet of vessels that transports iron, coal, grain, and other materials. Globus shares spiked over 25% this week after it reached an agreement with its lenders to waive some of their loan stipulations and due dates for 2016. Globus stock added $0.10 this week and was trading at $0.46 as of Thursday's close. The stock is up 336% year to date. Best Penny Stocks No. 4: Tanzanian Royalty Exploration Corp. (NYSEMKT: TRX) is a mining and mineral exploration company. Tanzanian explores and develops natural resource properties, primarily in Tanzania, Africa. Its stock was up 53% this week, or $0.17 per share. It was trading at $0.49 per share as of Thursday's close. There was no specific reason surrounding the jump other than general speculation. Best Penny Stocks No. 3: Novacopper Inc. (NYSEMKT: NCQ) is a mining exploration company based in Canada. Novacopper has several mining projects going on in the Ambler mining district in Northwest Alaska. The company's stock surged over 60% this week after the company reported better than expected findings at one of its mining sites in Alaska. The findings showed a 173% increase in copper resources at the location. Novacopper stock added $0.30 this week and was trading at $0.76 per share as of Thursday's close. It's up over 160% year to date. Best Penny Stocks No. 2: Ultrapetrol (Bahamas) Ltd. (Nasdaq: ULTR) is an industrial shipping company that caters to the marine transportation markets. The company transports grain, minerals, crude oil, and many other materials. The stock surged over 80% this week after the company said it's negotiating with lenders to extend its credit contracts. The firm emphasized to shareholders that it currently has enough liquidity to fund its operations. The stock added $0.16 this week and was trading at $0.33 per share as of Thursday intraday. It's up over 200% year to date. Best Penny Stocks No. 1: Paragon Shipping Inc. (Nasdaq: PRGN) is global shipping company. The company transports big cargoes of commodities, like iron, coal, grain, and other materials. It has a fleet of eight carriers that can carry a total of 980,380 tons of cargo. The company's stock surged over 400% after it filed a lawsuit against TradeWinds, a financial news organization that reports on the shipping industry. The lawsuit alleged that one of TradeWind's financial writers had incorrectly reported that Paragon's Board of Directors had approved filing for Chapter 11 bankruptcy. The stock went from $0.32 to $1.61 as of Thursday's close. Paragon has a market cap of about $1 million and a huge 52-week range of $0.20 to $45.60.